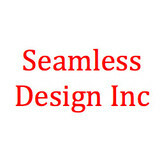 Seamless Design, Inc., The Valley's premier seamless gutter and downspout specialist. Our gutter company is the best in the business! 1.Seamless guttering eliminates unsightly and problematic seams 2.Baked Enamel finish never needs painting 3.Many up-to-date colors to choose from. 4.Protect your homes beauty and landscaping while increasing its value We're committed to helping you figure out what bests fits your needs and budget. Please contact us for your new construction and home improvement gutter needs. We're happy to answer all your questions and give you a free estimate. Every effort is made to match color and contour of your home or business. Gutters are manufactured on site using the best quality material and equipment available. No structure is too complicated for our highly trained staff and every effort is made to make the installation both efficient and attractive. Don't delay Call us today! 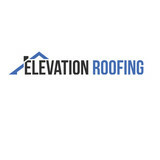 Elevation Roofing was formed by a team of local builders and investors with a shared vision of creating an exceptional Roofing and Architectural Metal business in the Roaring Fork Valley. Plath Construction is a roofing and waterproofing contractor with over 39 years of experience. Our office is located in Eagle, Colorado and we serve various locations from the Front Range to the Western Slope. 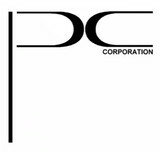 Primarily our projects are located in Vail, Avon, Edwards, Eagle and Gypsum. We have experience with all types of roofs, waterproofing, insulation, snow guards, custom metal siding and more. We can provide a variety of price options to help meet your budget. In addition, we provide snow removal services. We are committed to the highest quality achievable and complete customer satisfaction. We warranty our work and we have been a member of the Colorado Roofing Association since 1999. We have experience with a wide variety of roofing products. In addition, we combine the detail, quality and personal touch required of a custom home or commercial project. We have the manpower and the equipment available to complete large projects on schedule while ensuring quality. Our crews are knowledgeable, courteous, responsive and skilled. As a mountain contractor we excel at working in winter conditions and in areas that can be challenging to access. Contact us today for a professional estimate. We love doing roof repairs. At this time in history, there are very few contractors who understand how to solve leaking issues and keep older roofs in service. It is a rare and dying skill set in the roofing market. Dan Anderson was taught by one of the best roof repair experts in the nation and has continued to learn by study and experience since then. There is nothing like troubleshooting and fixing hundreds of other people’s mistakes to learn what works and what does not. This experience ensures that you will get the best installation expertise available. Too many contractors think they have years of experience because they do not realize that 1 year of experience 30 times is not the same as 30 years of experience. Make sure you choose a contractor that has extensive evolving progressively educated experience. You do have a choice. Our services include roofing, drywall, framing, siding, and much more! Rocky Mountain Roofing and Remodeling uses a variety of methods, tools and equipment to install and repair roofs. We also inspect problem roofs to determine the best way to repair. We offer a free estimate and are glad to be a growing business in Colorado! What do roofing companies in Carbondale, CO do? Your Carbondale, CO roofing contractor can install a new roof or repair an old one, as well as repair and replace gutters. Good roofers in Carbondale, CO should be able to promptly inspect roofs and gutters to assess damage after a natural disaster or other event, and give you an estimate for the necessary roof repair immediately. Some Carbondale roofing companies specialize in specific types of roofs, such as tile or metal, so make sure the one you are interested in works with the materials you have or desire. Find a Carbondale roofer on Houzz. Narrow your search in the Professionals section of the website to roofing companies in Carbondale, CO. If you’re planning a large-scale project, find other professionals on Houzz who can help get the job done. Here are some related professionals and vendors to complement the work of roofing & gutters: General Contractors, Specialty Contractors, Siding & Exteriors, Door Sales & Installation, Garage Door Sales & Installation.